There is hardly any adult in the developed world who has never been the subject of a blood draw. The easiest way to access medical information about a patient is through a blood test. There are 9 billion blood draws per year in the United States alone and blood tests inform over 70 percent of medical decisions. VeinViewer uses an infra-red camera to highlight blood and then projects the image onto the skin. This way, nurses and physicians can find veins easily and avoid that unpleasant multiple needle stick problem that we health care users dislike so much. “It’s non-invasive, no heat is involved and there is no direct patient contact. Kids like it because they think it’s cool. Parents like it because they know the procedure is not psychologically or physically stressful. 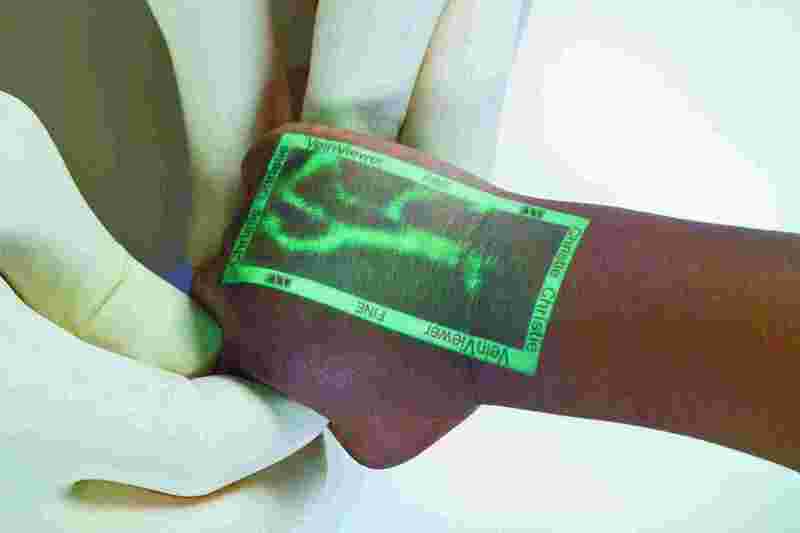 Fans of writer Michael Crichton will recognize the automatic vein finder from his 1969 novel The Andromeda Strain. Crichton was a medical doctor.